Apt title considering how late we are posting this AND how late we scored the winner. Hi, folks! At long last, I return, after abandoning the podcast for greener, more lucrative pastures (AKA a promotion with crazy hours; I really do miss the girls). It’s earned me the nickname of Di£i. Shame on me. 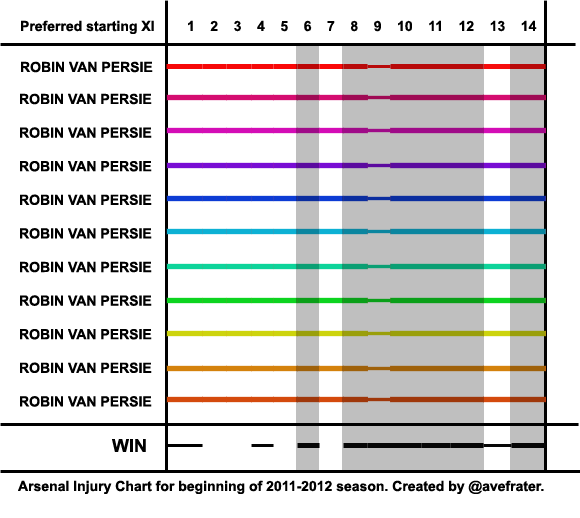 As you can see, and as my previous post states, by the end of the season it didn’t really matter who was injured. We do better with our preferred starting XI, obviously, but after the Carling Cup final… it all went downhill. I’m mainly posting this here for posterity’s sake. I think it’d be really cool and interesting if I created one every single season from now on! How about this season so far, you ask? Well, let’s take a look. So beautiful. So perfect. What a flawless starting XI. Ha, just kidding. Will post a real one around mid-season! 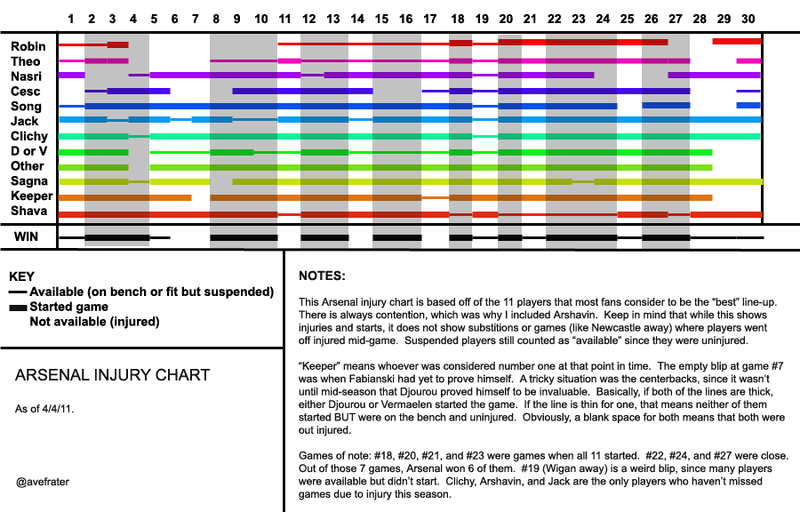 Up next: an updated and revised version of the good old Arsenal drinking game. The text below the image should all be self-explanatory, but here are some more things to note: The first international break was between matches #3 and 4. Stoke City at home was match #27. 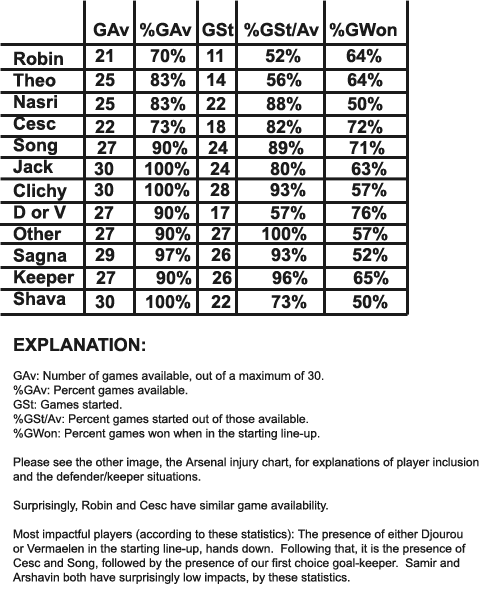 Note the extra blank spaces (injuries) after those two matches. The only match where Arsenal’s preferred starting XI all started and the result wasn’t a win (#21) was Manchester City at home. The Carling Cup final took place after the 27th match, the second leg against Barcelona after the 28th match.